Have you made Barbeque Rub? 1. 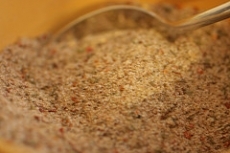 Combine all ingredients and use as a rub for any barbecued meat. This recipe contains potential food allergens and will effect people with Garlic, Natural Sweeteners, Hot Pepper allergies.